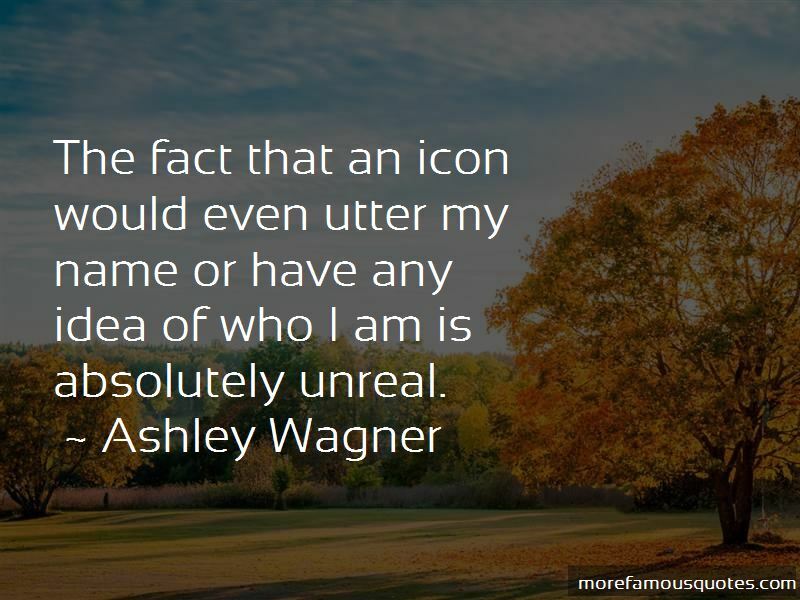 Enjoy the top 70 famous quotes, sayings and quotations by Ashley Wagner. I live in California, so I do stand-up paddle board, which is a killer workout. I also run, about four miles every three days. I can adapt to change easily, but I'm not a fan of it. I just believe in equality for all. I'm vicious. I can be nice off the ice, but on the ice, that's not where it's time to make friends. To put on a performance, you have to be emotional. You can't be a zombie. I think the great thing about social media is it gives people access to you on a totally personal level that they didn't have before, so it's really important, and it's a great way to get people involved and excited about what you're doing. Adding an Olympic medal to everything that I have already accomplished would be so huge for me. I love 'The Vampire Diaries!' I can't help it - it's such a teeny-bopper show, but I think I just like it to stare at the guys. I'm always looking for a way to give myself something new as a person. You should not be defined by one bad performance. 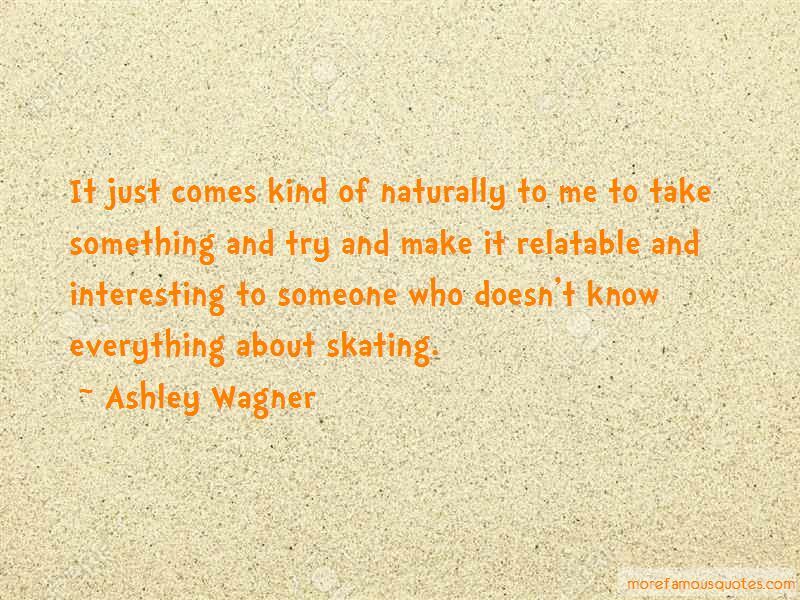 It just comes kind of naturally to me to take something and try and make it relatable and interesting to someone who doesn't know everything about skating. 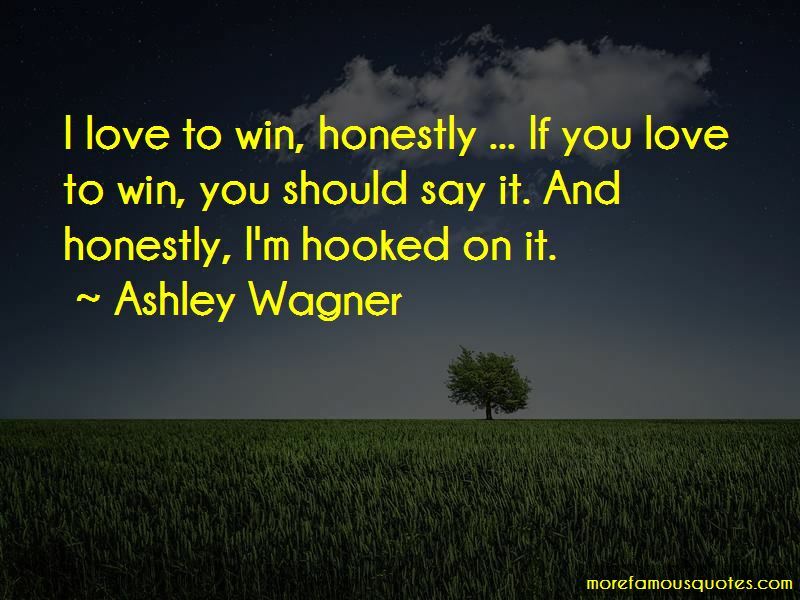 Want to see more pictures of Ashley Wagner quotes? 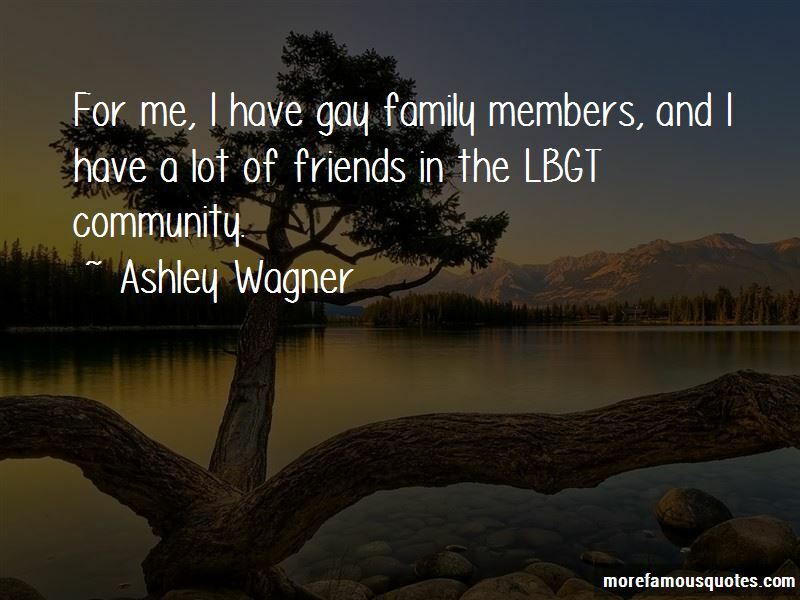 Click on image of Ashley Wagner quotes to view full size.